Nintendo took the time yesterday during their Direct Event to address the Zelda franchise. There is a brand new game in the franchise being developed, however Nintendo is saying the game will take some time to develop. The new title will focus on breaking away from the core mechanics of previous Zelda titles. Those mechanics? Having to defeat dungeons in a predetermined order, and forcing The Legend of Zelda to be an entirely solo experience (all issues listed by Nintendo). Skyward Sword was an effort to get away from those mechanics but the idea wasn’t fully realized so they have become to main goals for the new title. So what does that mean for Zelda fans in the meantime? Well this fall the Wii U will receive an HD remake of Legend of Zelda: Wind Waker. The entire game will be redone in gorgeous HD graphics (see above as well as the full gallery at the end), support being played directly on the Wii U GamePad, have full Miiverse connectivity, and receive updates to the mechanics of the game (though no details on what that exactly means). 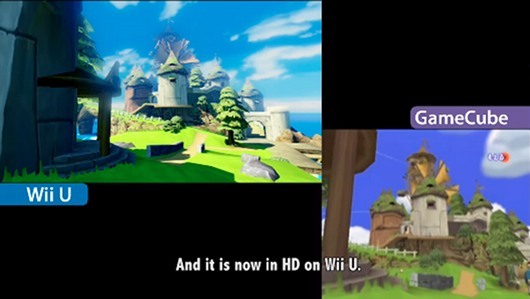 Here is a side by side comparison shot between what Wind Waker looked like on Gamecube, and what it will look like on Wii U. 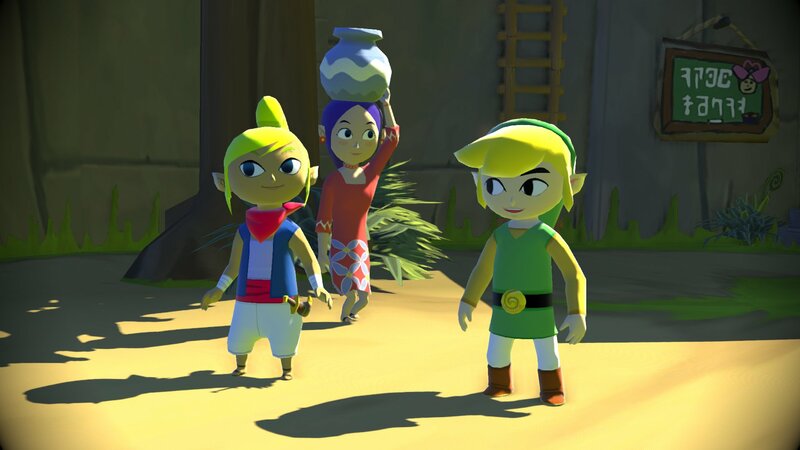 Wind Waker is a game that is a love it or hate it title, mainly for it’s cell shaded graphics. I personally never played Wind Waker but seeing the effort going into remaking the title it looks to be a great pick up for the Wii U come this fall. See the rest of the shots Nintendo released below.